Sir Paul McCartney Is Getting Married. Again. I’m going to go out on a limb here and say that Sir Paul McCartney is the marrying kind, and simply would rather be married than not. But hopefully he’s learned a huge lesson from his last marriage and will have a friggin’ prenup this time! 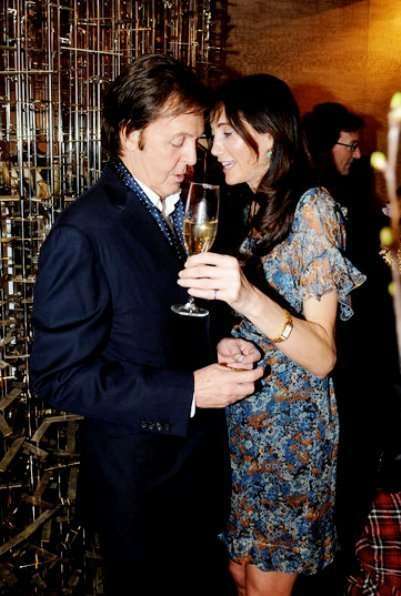 After four years together, former Beatle Paul McCartney and American businesswoman Nancy Shevell are engaged to be married. The pair first started dating during the summer of 2007, after McCartney’s nasty split from Heather Mills, but before their divorce was finalized. Most recently, Sir Paul and Nancy were spotted together on the red carpet at the Costume Institute Gala at the Metropolitan Museum of Art in New York City last Tuesday. previous post: Home Alone House For Sale. Ahhhhh!! !